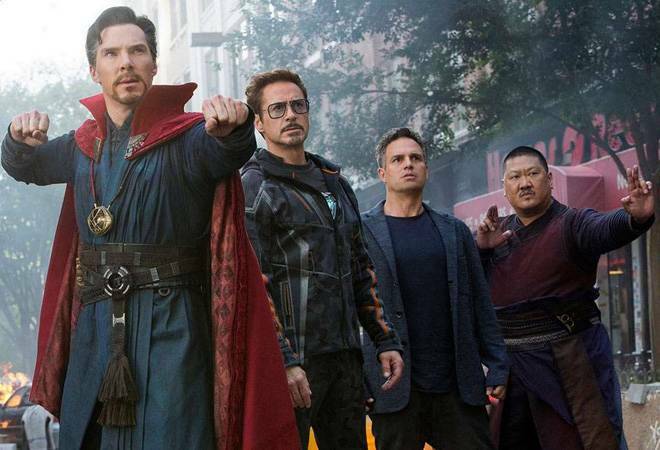 Can Avengers: Infinity War enter the Rs 200 crore club in India? The only Indian movie to have surpassed Avengers: Infinity War's pre-sales is Baahubali: The Conclusion. If you are a superhero fan or even know someone who is, you know what the hype around Avengers: Infinity War is all about. Since the first Avengers movie, and the multiple solo movies thereafter, fans have waited for a long time to watch the group come face-to-face with Thanos. This movie will finally bring that and Thanos' quest for the infinity stones to you. Speculations on who will survive and who will kick the bucket are running rife and the interweb is infested with spoilers that one must dodge at all cost. Meanwhile, fans across the world as well as in India have pre-booked tickets to the point that almost all shows for the weekends in the metro cities are sold out. Keeping the anticipation in mind, Disney opened pre-booking on Sunday, instead of the regular Wednesdays. INOX sold over 40,000 tickets by 7pm on Sunday, while Cinepolis India sold 50,000 tickets on the first day itself. IMAX and 4DX have registered occupancy of 75% in one day. The only Indian movie to have surpassed Infinity War's pre-sales is Baahubali: The Conclusion. "Time and again we have seen movies create history at the box office, but we have never before witnessed a phenomenon as such when a Hollywood film created such a frenzy with its advance ticket sales. It's a testament of Marvel's ever-expanding fan base, and the extraordinary buzz around the release of Avengers: Infinity War," Kamal Gianchandani, CEO, PVR Ltd said as mentioned in a report in IANS. However, can the movie make it to the Rs 200 crore club in India? The highest-grossing Hollywood movie in India is The Jungle Book. However, it too could not make it to the Rs 200 club, a trend that more and more A-lister Bollywood movies seem to be following. The Jungle Book made Rs 186 crore in its lifetime in India. The highest-grossing superhero movie in India has been The Amazing Spiderman (2012) that earned Rs 96 crore. The Avengers movies, although well-received leave a lot wanting in terms of box office. The first Avengers movie earned Rs 76 crore and Age of Ultron earned Rs 77 crore. Even the much-loved Deadpool and Wonder Woman earned a little more than Rs 20 crore. Avengers: Infinity War surely will breeze past the Rs 100 crore mark, considering the pre-sales. Analyst Girish Johar also predicted earnings of more than Rs 20 crore on the first day to Financial Times. Tier II and III cities might not give such a warm welcome to the movie as the metro cities would but keeping in mind the pre-sales, the fact that it will open in 2000 theatres across the country, and the star power, one should not bet against Avengers: Infinity War touching Rs 200 crore.